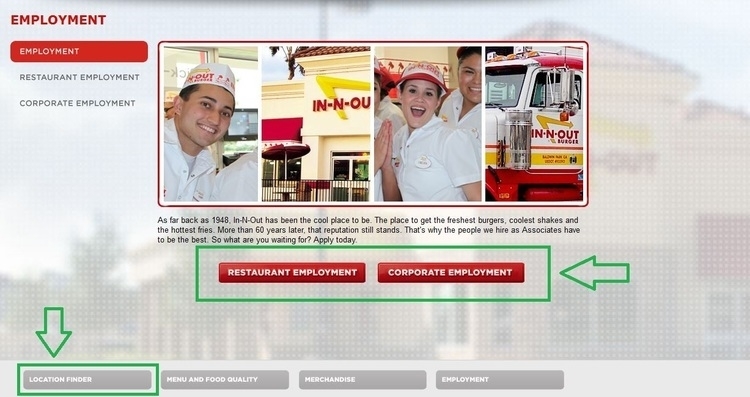 Visit In-N-Out Burger employment page to know more about working environment at In-N-Out Burger. Select your preferred career type from Restaurant Employment and Corporate Employment. Or you can click the Location Finder button to select your preferred working place then apply for jobs. 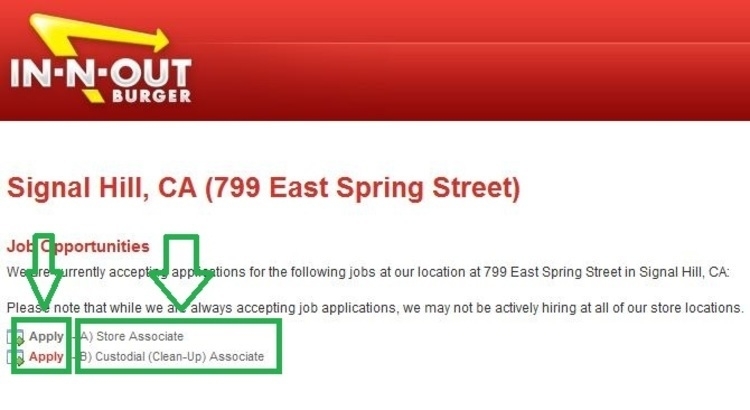 You can find more employment information about working at In-N-Out including employee benefits and opportunities, essential functions for store associate or cleanup associate. If you are faced with some problems concerning job application, you can visit FAQ's to find answers. 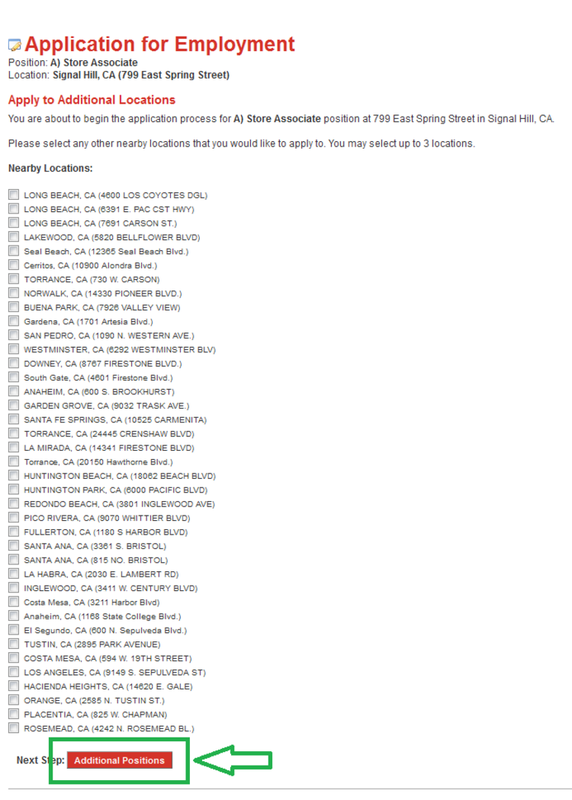 Search for a hiring location by zip code to find more about store level opportunities near you. Or you can view a list of all locations. 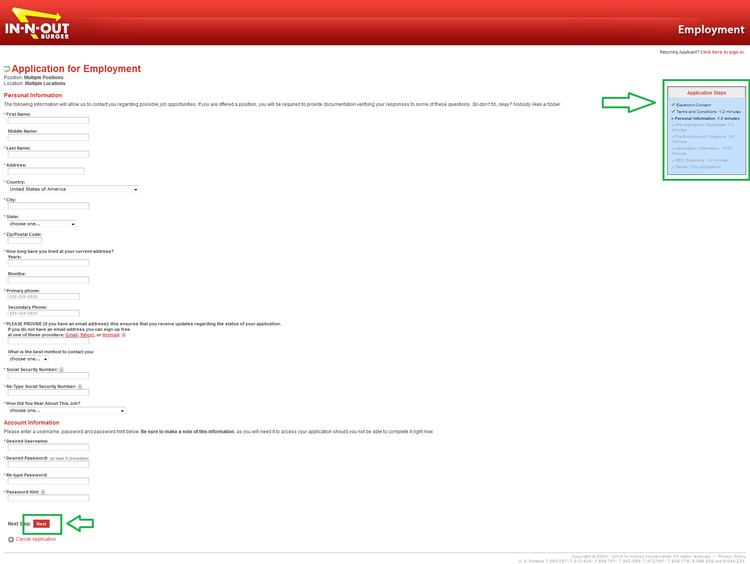 After selecting the store location, you can check job opportunities by clicking "Employment". Choose the language from English or Espanol to view more information. You will see job opportunities of the very location you selected before on this page where you can choose to see detailed job description by clicking on the very job title or choose to apply for the position by clicking the "Apply" button. Please select any other nearby locations that you would like to apply to. You may select up to 3 locations. After reading Pre-Application Consents and Disclosures, you can begin the application process which could take 30 or more minutes depending on the position for which you are applying. Follow the instructions to complete the application process while you can track your process in the top right corner of the page. 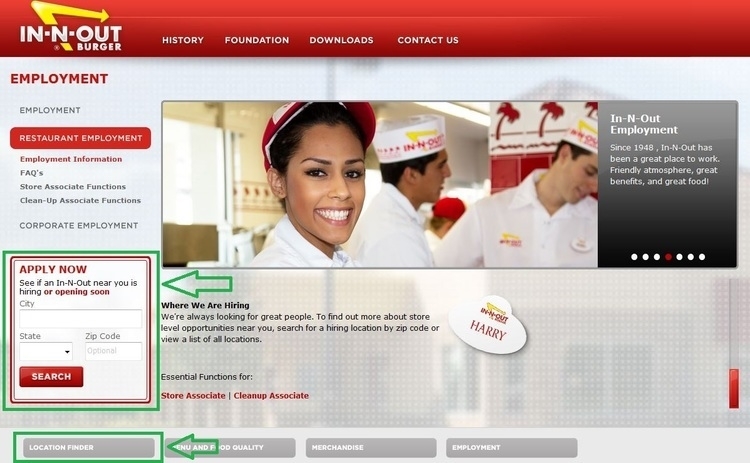 Click in-n-out.com/careers to apply for In-N-Out Burger jobs online.